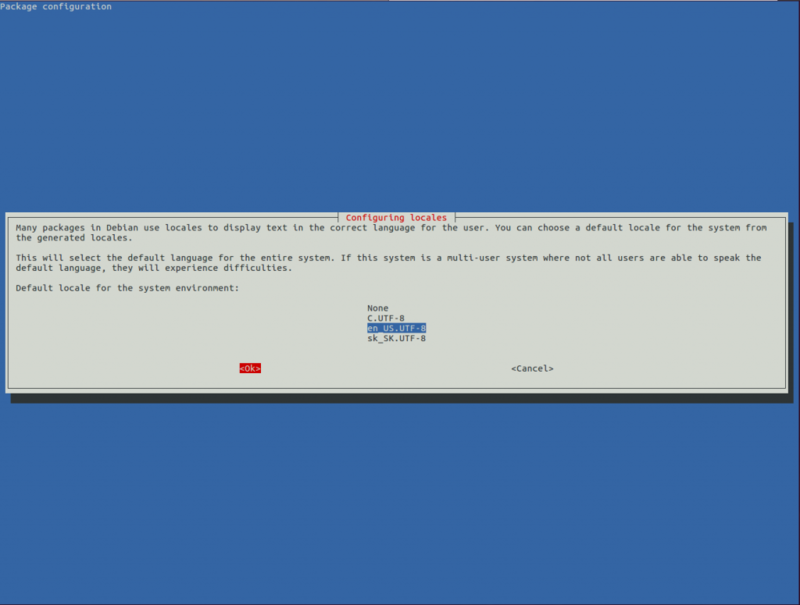 When installing Debian or Ubuntu, the locales may not be completely set. During the installation of Perl applications (such as Nagios), the warning, perl: warning: Setting locale failed, may be displayed. Note: Change “sk_SK” to your locale/code. After hitting Ok the locales are generated an everything should be set. Thread: perl: warning: Setting locale failed.